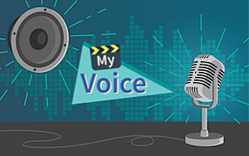 Introduces the new My Voice activity type for practicing expressive language. This activity allows students to record themselves speaking words, phrases, or short passages; listen to and adjust each recording; and to share with peers and teachers for feedback. This develops word familiarity (Stage 1 in our ALL progression) and supports related skills such as pronunciation, phonemic awareness, decoding, and more. But the main point is to make vocabulary and texts less intimidating. A secondary goal is to practice for English language development tests like WIDA ACCESS, CA ELD, and TELPAS that have voice recording components. My Voice works great with both independent and peer practice! Redesigns the navigation experience for primary grade levels. Students now have a dashboard that emphasizes the most recently active lesson and new assignments. The new interface allows students to sort lessons by subject area. It also divides lessons into "To Do" and "Done" pages. 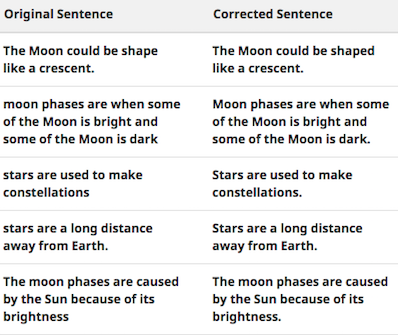 The latter allows students to go back and redo lessons they have already completed for additional practice. Adds a new digital student portfolio that teachers and administrators may access. There's no need to scan writing samples, upload photos, enter data, etc. Speak Agent handles everything. Work samples and data are automatically captured in project-based activities. The portfolio includes writing samples, voice recordings, annotations, and more! Expect this feature to expand over time. Enhances the authoring tool for adding Vocab Lab games to your lessons. You can now browse or search our library of Vocab Lab games by subject and keyword just like you already can for Tall Tales. Exports a printable version of any wordlist. Teachers can now download wordlists as PDFs that are ready-made for students to take home and practice or use as a reference during class. There's so much more new and exciting in store for you this fall... Stay tuned for an interactive Read Along activity and other fun treats next marking period! As always, if you have a brilliant idea or something that's bugging you about Speak Agent, we are listening! Just contact us. Katie Cunningham is CTO and Co-Founder of Speak Agent, Inc.